We always value comments left on our posts here, even though I’ve been posting a little less often than I should be – I’m going to work on that… A donor Mom left me a comment the other day. We later connected and she told me about her daughter, Ava – and I told her about Kari… Ava is pictured above. About seven months ago while my daughter was home from college for Christmas, she happened to notice my driver’s license. “Hey! You’re an organ donor,” she remarked. “How’d you get that sticker? I want to do that.” I told her it was as easy as logging on to servicearizona.com and requesting to be a donor. “Motor Vehicle Department will send you a form, you fill it out, send it in, they’ll register you and send you a sticker,” I explained. “Cool,” she said. We went on to discuss the importance of being an organ donor, the possibility of saving lives in death. How innocent that conversation was. “There are other decisions to make,” said a soft-voiced woman, the chaplain who had also lost an 18-year-old daughter to a car accident four years prior. She reminded me that organ donation was an option. I immediately recalled that casual conversation from last December and, through my tears, said, “oh yes!” I was soon introduced to several people representing Donor Network of Arizona. Along with the chaplain and the attending medical staff at St. Joseph’s Trauma Center in Phoenix, the Donor Network people were some of the kindest, most caring people I have ever met. They explained things gently, shed tears with me, and asked about my daughter. They even requested that I bring in photos of her to place by her bedside for the remaining time she was there. 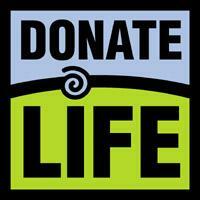 So what does it mean to “donate life?” It means my daughter has saved five people. There are five families who are not grieving. There are five people who are living, who are stronger and will be with their families longer, because she gave her organs to them. Abigail’s heart was gratefully received by a 57-year-old Arizona man, and he is recovering well. He is married and has three children. Her liver went to a 66-year-old woman, also from Arizona. She too is progressing well. A 37-year-old Arizona man received her left kidney and pancreas. He is doing so well that he was able to return home four days after surgery. He is overjoyed to be off dialysis. My daughter’s right kidney was received by a 58-year-old woman from Iowa. Her needs were specialized and the matching was critical, and apparently, Abigail was a perfect match. She is doing well. She is married with six children. The double lung transplant was received by a 67-year-old woman from Arizona. Her recovery has been nothing short of excellent. She has three children and a number of grandchildren. Both she and her family are overwhelmed with the “gift of life” from my daughter. Abigail’s giving has and will go further as other life-saving tissues will help burn victims, people suffering from tumors and other illnesses where living tissue can assist. I know many people who, like my daughter, have thought positively about organ donation but have not done anything concrete about it. Make this the time to stop in to MVD or log on to the Web site (servicearizona.com) and click on “organ donor” on the right side of the page. One never knows whether there will be an opportunity to do so tomorrow. Some facts about organ donation: Although a person has requested to be an organ donor, it is finally up to the survivors – next of kin – as to whether any donations will be made. Should a person suffer illnesses or other issues that prevent organ donation, he or she can still give life and benefit others through full-body donation. Abigail’s body went on to medical research through the International Institute for the Advancement of Medicine, where she will continue to give. Visit www.dnaz.org and www.iiam.org for more information. Some things have changed since Tamara wrote this piece… More than 40 states, including Illinois, Iowa and Arizona, are now “First Person Consent” states – meaning that your registered decision is binding, and your survivors – your next of kin – cannot override your decision. If you’re from Arizona, you can follow the links Tamara referenced above. If you’re from anywhere else in the United States, you can find where to register to become an organ donor at www.DonateLife.net – if you haven’t done it, think about doing it today. In memory of Chloe. who saved me when no one else could. You were our miracle on that beautiful day in June. Tomorrow morning, somewhere between 4 and 5am in California, Annie and 23 others, along with a handful of support folks will be gathering in the hotel lobby and getting on a bus… They’ll probably descend on Von’s – a grocery store on the way to the parade line-up… They’ll tool around Von’s tossing whatever they want for a quick breakfast into a few carts – several of them will line up at the Starbuck’s counter, baffling the poor customers who came in at 5am expecting no wait... It will be the most fun they've ever had in a grocery store. Then they’ll load back into the bus and eat whatever they bought on the way to the parade grounds… The Donate Life Float is early in the parade this year – the 10th entry – the 4th float, so they won’t have to wait too long! They told me that turning the corner onto Colorado Boulevard, and seeing the walls of people on both sides, is something you just need to experience – it’s amazing… They were right. Around a million people gather along the parade route – they start plotting out their spots at around Noon, the day before, and they party all night… Before turning that corner, I had been calling out and engaging people on the pre-parade route – then we hit the corner and I saw all of those people. A few of my fellow riders looked over and questioned why I had suddenly gotten quiet. For the briefest of moments – I was speechless. Annie is riding the float this year to honor her husband Jay, and the gifts they gave… She’s also riding the float as thanks for all she does in telling others about organ donation. Her loss is immeasurable – but what she has done, and what she will continue to do to help people like me get the gifts we need to live is also immeasurable. Bryan Stewart has dedicated his professional career to promoting organ donation. Reg Green's son Nicholas was killed 15 years ago, but his legacy has lived on in seven strangers who were saved by transplants from his organs. And now that legacy will be highlighted for millions to see on New Year's Day when Nicholas Green's portrait will be featured along with dozens of other donors on a Rose Parade float dedicated to organ donation. In the form of a 30-foot tall phoenix - the mythical bird symbolizing rebirth - the float will be decorated with red roses, orange and yellow chrysanthemums and violet orchids. The real highlight will be tucked in the phoenix's tail feathers - portraits of 76 organ donors, made of crushed corn, onion seed, cinnamon and flax. The portraits have all been prepared by relatives of the deceased donors, like Reg Green. "Overwhelmingly there is a feeling of gladness that all these millions of people will be introduced to your loved one," Green said. "It's been a long time since he was killed and the fact that he is still remembered is very gratifying." Nicholas was killed at age 7 by highway robbers while vacationing with his family in Italy in 1994. His parents donated his heart, liver, two kidneys, corneas and pancreas cells to help save the lives of seven Italians. Reg Green, who has since become a worldwide spokesman for organ donation and started a La Cañada-based foundation for the cause, said the act of preparing the portraits was therapeutic for himself and his family. "We were all together working on this project to try and bring his image to life ... we were discussing what color exactly his eyes were, and his hair ... there was great intimacy," Green said. "It was even a bit of a wrench to have to come home and leave the photograph." The float is sponsored by OneLegacy, Southern California's regional organ donation processing company. Over the past eight years, ideas for the organization's floats have stemmed from the simple, like the first year's bridge design, to bolder metaphorical statements, like a design that had colorful flowers growing out of a fallen tree to symbolize new life after death. This year's phoenix design will be the largest and most extravagant yet. Helping to spearhead the float-building effort is Bryan Stewart of Northridge, the nonprofit's vice president of communications. "Every year I put a lot of heart into all of this, and in many ways it's my Christmas gift to myself," Stewart said. Stewart's dedication had him working on a few last-minute projects on Christmas Eve morning, but for him, telling the world about the act of giving gives him the real gift. Stewart had little experience with organ donation when he was hired in 2001, but the job quickly became almost like a calling. Within months he helped launch California's "Donate Life" organization, which does statewide advocacy for organ donations and manages the state's massive donor registry with more than 6 million registrants. He also became board president of the nationwide "Donate Life" organization. But one of the highest-profile jobs that Stewart has taken in the past seven years is helping to design and build the "Donate Life" Rose Parade float. Every year more than 60 million people in 200 countries around the world sit in front of their television sets on New Year's Day to watch brilliantly decorated floats make their rounds in the annual Rose Parade. "Every day I wake up excited ... this doesn't feel like a job," Stewart said. "I get to share with people a beautiful message about bringing life to a situation that seems to be all about death. I am inspired every day by amazing people and amazing families." Thank you... A song by JR Gulotta. I'm just outright stealing this from Scott over at I am. Are you? And I will be stealing in the future too - but maybe in the future I'll just reference the post and link you over there... Scott's post is a note from my friend Annie, who gets to ride the Donate Life Float in the Rose Parade this coming New Year's Day. Scott will be posting messages from Anne periodically up to, and through her ride on the float. I got to tell my stories last year (with Scott's help too)... I want Anne to have her chance to tell her stories this year! Here is a link to Scott's post, "What 'Thanks' Means to Me"
Back in August, we unveiled Illinois’ 2010 Donate Life Rose Parade Float Rider, Anne Gulotta. She will be paying tribute to her husband Jay, who was a donor in 2002 in addition to honoring Cameron Chana of Clarendon Hills, Ill. who was a donor earlier this year. Both Cameron and Jay will be represented through floragraphs on the Float. From now through December, we’ll feature a series of posts from Anne and the Chana family to help provide insight into what it means to honor organ/tissue donors and help promote the issue on a national scale through the Float. At previous meetings with Anne, she has continually mentioned the theme of “thanks” in regard to the feelings that arise when we think of those that have given the gift of life. In light of Thanksgiving, I asked Anne to provide some further insight on the theme. Thank you Anne and Happy T-Day and safe travels to all! I’m very excited to share my journey with you to the 2010 Rose Bowl Parade. As you may know, Steve Ferkau has passed the baton to me this year, and promised to teach me the crucial parade float crowd wave. I’ve known Steve since 2005 when we met after a photo shoot for the annual Gift of Hope calendar. Soon after, Steve and I were presenting together, quickly earning our reputation as the Dynamic Duo. I talk about my experience as a donor family and wife, and Steve talks about the lifesaving double lung transplant he received from his donor, Kari. For that he is grateful, and gives thanks every day of his life. You may have seen a rendition of the float A New Life Rises. A phoenix rises from the ashes bringing hope to others. My son JR is an aspiring singer songwriter. He said to me one day; “Mom, in memory of dad and in honor of the lives he saved I’m writing a song.” The melody came quickly, but the words did not. How would he express the loss of his father, and still honor those who received the gift of life? It was pretty easy for him once he gave it some thought, and soon “Thank You” was written. After Jay (my husband of 18 years) died I felt very alone, but soon I was involved with Gift of Hope delivering a message of hope, love, and strength. I’m grateful for the strength to tell my story, and the purpose that now drives me to tell my story. Sometimes we need to reach deep into our souls to look past hurt and grief to find the good and be thankful. Jay saved many lives. His left kidney recipient is Julie. Julie would not be alive today if it wasn’t for the gift of life Jay gave to her. I’ve gotten to know Julie quit well, and I will write more about that later. I give thanks to Jay every day. Julie is an extraordinary human being. She is kind, loving, and strong. Julie, her husband Ed, and all their friends and family give thanks to organ donation, because Jay lives on. Julie is a testimony to that. Organ donation has a ripple effect. So many lives have been touched by the gift of life that one person gave. Jay’s heart was given to a 55-year-old man, his right kidney to a 16-year-old girl, and he gave someone sight. He donated tissue too and part of his liver was donated. Life carries on, and the relationships I have formed in the past seven years are precious. I am very close to JR and my daughter Elizabeth, and although I lost my best friend and husband, I have a new friend in Julie. I say thank you to them all. Enjoy this holiday season. Eat the turkey and savor the pumpkin pie, and when you wake up each morning, give thanks for something in your life. Tonight also saw me utilizing these beautiful creatures called lungs. I took the dogs for a walk with both parents and me and Madyson ran a few times. RAN. I've already run, but still, 3 months ago i was still out of it from surgery. Running was not the first thing on my mind. I'm pretty sure nothing was on my mind but the pain i was in and how much i wanted food. And it was as Maddy and I were running that I had this thought: here I am, breathing with someone else's lungs. Unlike a liver or a kidney, where you can't feel them as they work, with lungs, you can. You can consciously make the effort to inflate and deflate them. I can inhale as deeply as i want, and hold it, and hold it, and hold it, all on my own will. But these aren't mine realy: i wasn't born with them. They were entrusted to me b/c my donor was awesome and had the compassion to save others lives in the event of their untimely death. Again, 'thank-you' fails to encompass how this really is for me. You can't thank someone for that. You just can't. I ran tonight people, and I walked 100 stairs and then some. You cannot wrap that in a box and place in under a tree or anything. It is basic human kindness in the most extreme degree. It may seem simple but it was the most beautiful thing I could think of, on one of the most beautiful days of November. They are the Tri-for-Life triathlon team, and they do what they do to honor their brother, Chase, and to spread the word about organ and tissue donation. Six years ago, Chase passed away. They tell me donating Chase’s organs was a no-brainer – he’d let them know how he felt… But more than that, he was always all about helping others. When I hear any of them talking about Chase, I think about Kari too. I know they weren’t always the angels that some of us make them out to be – I know they were not perfect. But I also know that they were truly good people. They were surrounded by incredible love, and many, many friends. His family knows some of Chase’s recipients – they are very close to his heart recipient, Terry. I’ve met Kari’s family – I know how special they are, and I’ve met and adore many of her friends – and I’ve met the beautiful lady who has her heart. The gifts any of us receive are driven by a love for other people, and an appreciation of life, and by goodness and kindness. As many of you know I recently became a member of a pretty fantastic team. We tri….we don’t just tri for the competition, we don’t just tri for the camaraderie. We tri because as a team we are coming together to further a beautiful and amazing cause. We tri for a purpose. We tri because 6 years ago a family lost their son and brother, and six years ago those brave family members made a decision to not allow Chase’s legacy to end there. The Coleman family donated Chase’s organs and as a result lives were saved. Though extremely tragic, unspeakable, surely an experience that words cannot accurately explain a single family saved many more. So we tri….we tri to honor Chase, to bring awareness, to offer opportunities. I am proud to be part of a team that believes in something bigger. We are more then just athletes trying to win a race or break a personal record when we are out there. We are a team, a very close team of individuals believing that collectively, we can and will make a difference. Little did I know that, over the next year, she would tell me a little of her story for me to post here at Revive Hope in the form of a letter to her donor, Chloe – that had me crying as I posted it… That I personally would have the honor of placing her 14 roses in the Family Circle Garden on the float at the Rose Parade… That she would join my team and leap tall buildings with me, and climb the Hancock with me and Kari’s friends and so many more people… That we would both be in a video titled “I heart organ donors” for donor awareness month… And that she would join me and Jenn and Ted contributing to Revive Hope. To view a larger, clearer version – click on the video title above. Last year, and again a few months ago, I wrote a few posts that I think show these guys in the way I’d like the world to see them. In August, 2008, when I met them at the Chicago Accenture Triathlon, my post was titled “Swim, Bike, Run, Chase.” When we went to cheer them on at the HyVee Triathlon in Des Moines last month, my post was titled, “Buck & Nancy’s boys… Chase’s Brothers.” If you hadn’t read them – check ‘em out… I’m kinda proud of them.